For some reason the forum gives me an accessed denied and 403 error or something if i try to post this as one long post. So i will settle for two instead. As two possible offshoot varieties i was also excited for the yellows that segregated out. 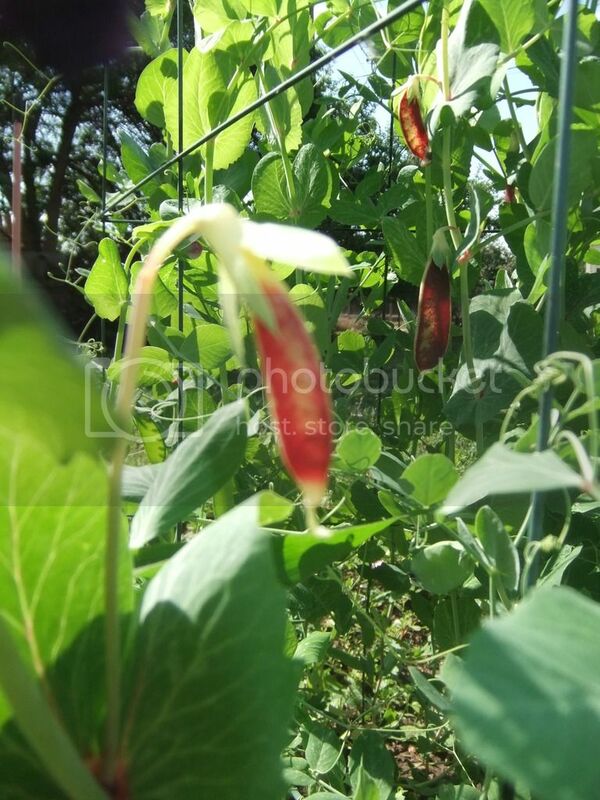 This one looked like a large snow pea that seemed to have very low fibre in it's pod. It had the "pulverize to dust" trait. 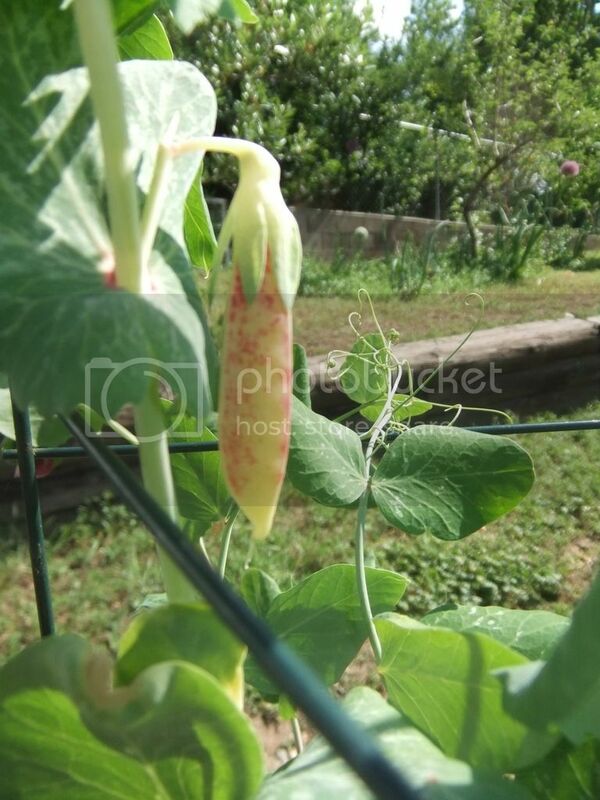 And this one looked like a snap pea, but it had a nice yellow coat with pink speckles. It was particularly charming even though the speckling was hard to notice. All in all i was particularly pleased with the seed i got. Some of them didn't seem as robust growers as i would have liked, but not majorly mal-adapted, so i don't forsee any problems with any in the future. I think i would like to eliminate any with leather pods as the coloring just doesn't look as striking to me. 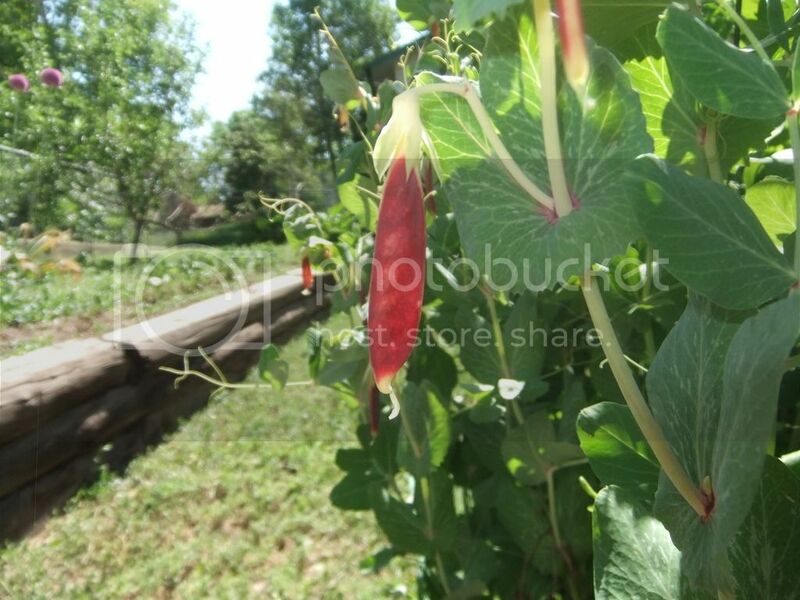 I'm not sure whether red pods are suited for shelling peas, but i don't know. I attempted at least one cross of one of your red pods with Opal Creek i think. In theory if the cross took i should still get a red pod in the F1. But i'm not necessarily confident the cross took. I did collect a pod of seeds that was labeled from an attempted cross and i planted it, so we will see. I also noticed that you said you had a seed failure for 2015. I assume that was because of the tree roots. Would you like any seed back if i get a good crop this year or the next? Would you like any seed from the speckled snap? Also curious to know if any hyper-tendril or "semi-leafless" plants have shown up in your progeny since you said Sugar Magnolia was an original parent. Keen101: Thanks for the grow report. My crop failure in 2015 was because I was wore-out by trying to support an alcoholic partner, so I let weeds take over the peas. 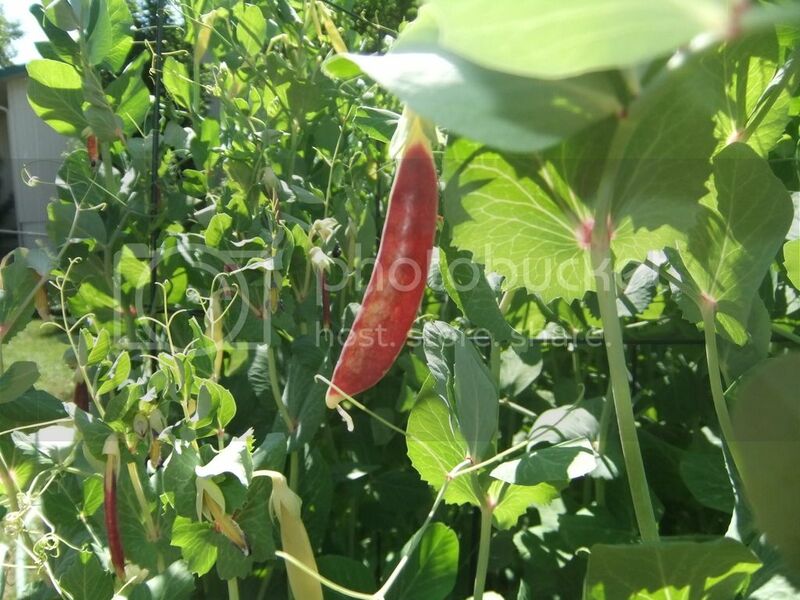 I did manage to collect about 20 seeds that are labeled "red-podded snap", and I have a pint of older seed, so I'm OK.
2016 review: Got a few nice red-podded peas this year. Some nice segregating yellows as well (including a large-to-me curved yellow snap pea). The best way to view these peas is early in the morning when the sun shines through them. When the sun shines through them they really "pop". 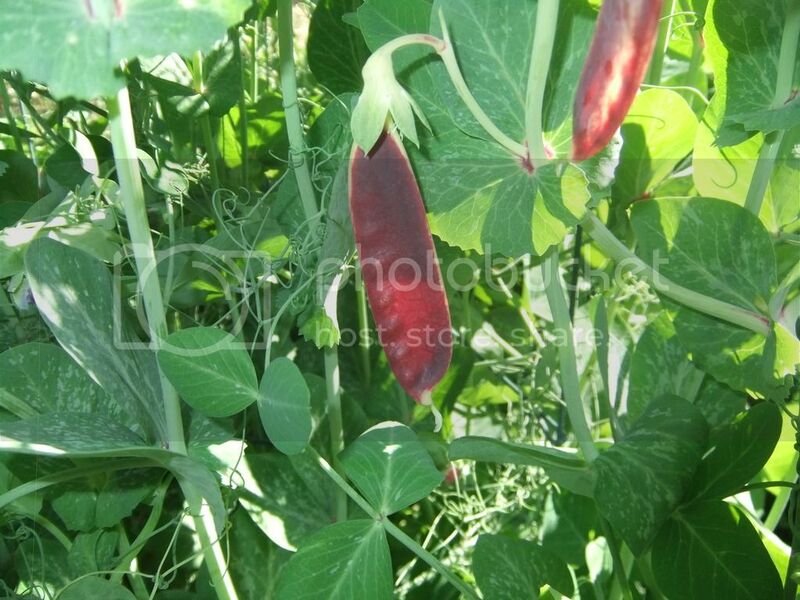 The downside is that when the sun is not shining through they rather look just like another purple podded pea which isn't necessarily a bad thing, just slightly less "red" than one would like. This is not a failing of joseph's breeding efforts, but rather the genes being used. I am looking for ways to improve this. One failing in that regard is that the yellow-podded gene (gp) seems to often wash out or turn light green as the pods mature. 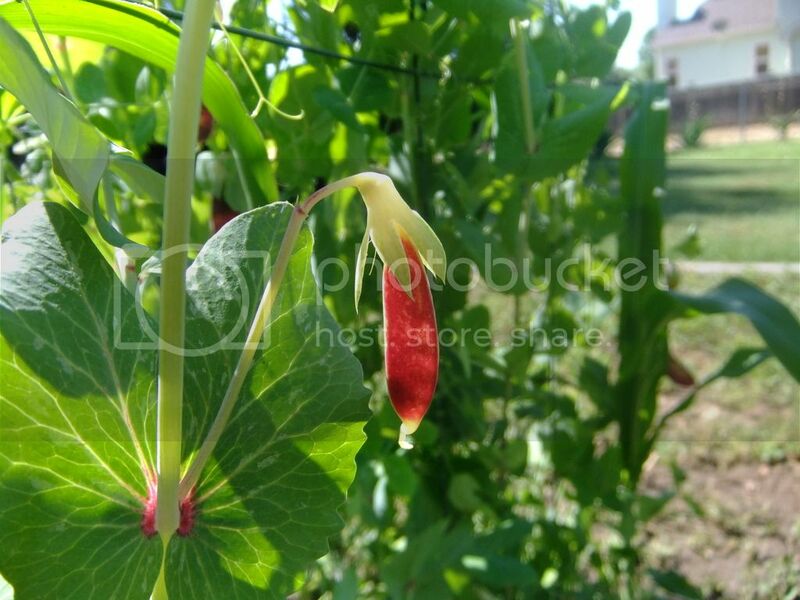 A way to improve this might be to combine the yellow-podded gene with the Orange-podded gene (orp) to create a long lasting true golden-podded base. If that were to work then these may stay more red for longer. Another idea is to use the "b gene" to change the anthocyanin expression from dark purple to more of a pink color. 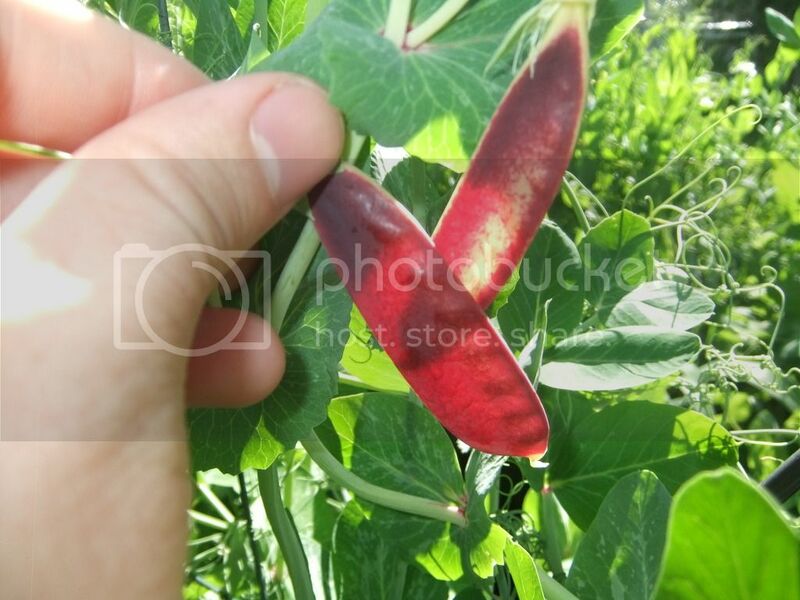 This is most known for affecting flower color, but it will also affect pod color as well. This could result in a lighter purple color on top and more of the yellow to shine through also creating a better red. As far as downsides i noticed from Joseph's red-podded cross specifically was somewhat taste and early yellowing / heat tolerance. I was able to taste a few this year and some seemed to taste pretty decent. A few did not taste all that great at all, so there probably is some segregation for taste going on here and that is one thing to pay attention to in the future. 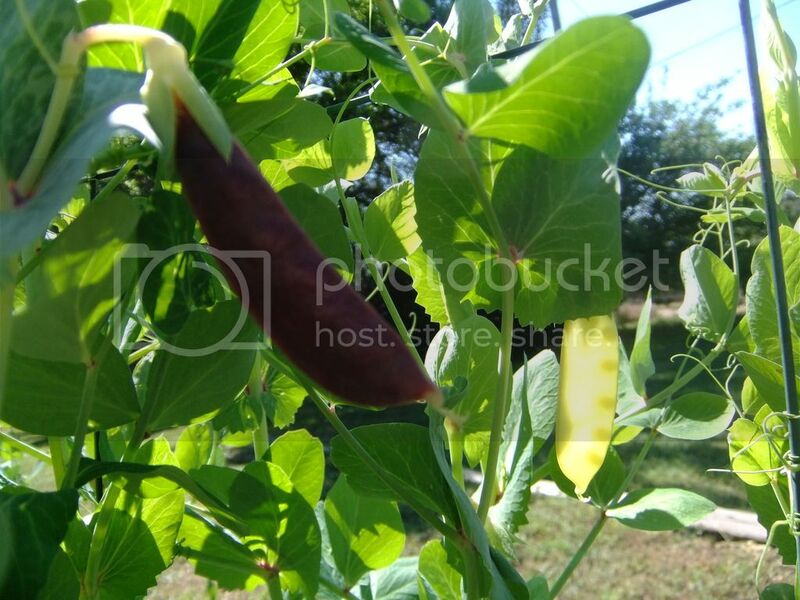 The second is that these plants compared to some of my other peas seemed to really start to turn yellow once the early June heat hit this year. I'm not sure if that is because they are programmed genetically to die once their first pods are nearing maturity or if they just lack any heat tolerance at all or both. But that was a little disappointing. 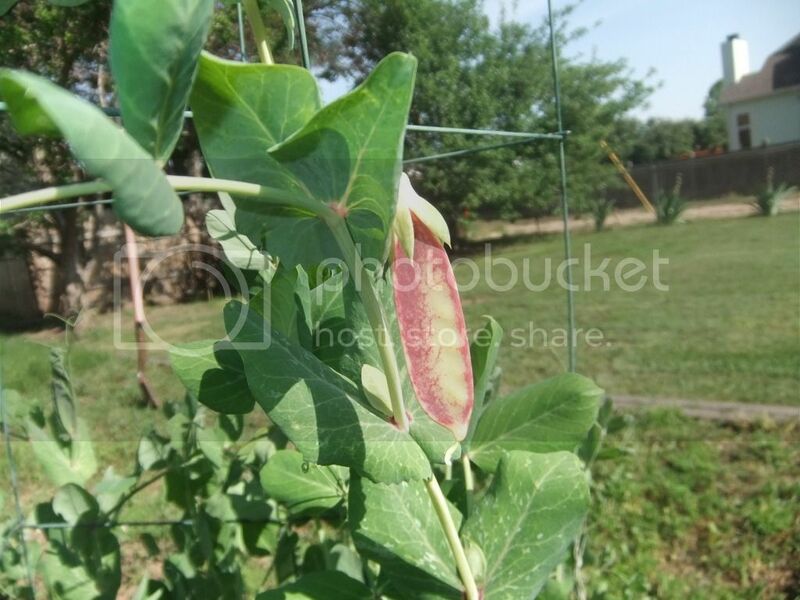 I know not a lot of peas are known to have heat tolerance, but i really would like my pea plants to stay green at least through june and/or until the pods have already matured and mostly dried down. Some of the ones in my collection that could have these traits are the mummy-type peas, biskopens, dwarf gray sugar, and virescens mutante. Perhaps even Sugar Magnolia. 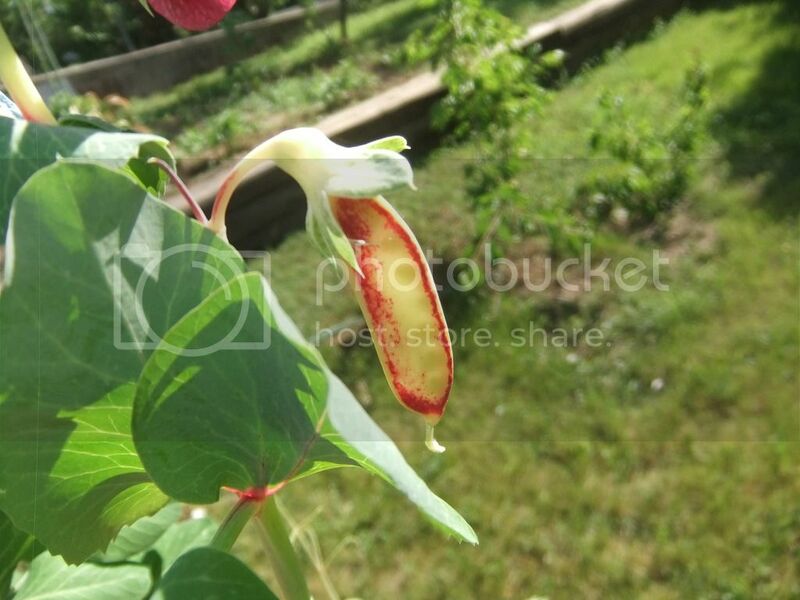 The ones that clearly did not have this and yellowed too are Sugaree, green beauty, spring rose?, Joseph's red-podded, and Joseph's yellow podded. (mostly the ones derived from Oregon and growing for the first time).